This half term, our PE days are Monday and Friday. Please ensure your child has appropriate kit for PE and that this is left in school through the week. Thanks. Fun in the sun today with Mrs Harper in pe! 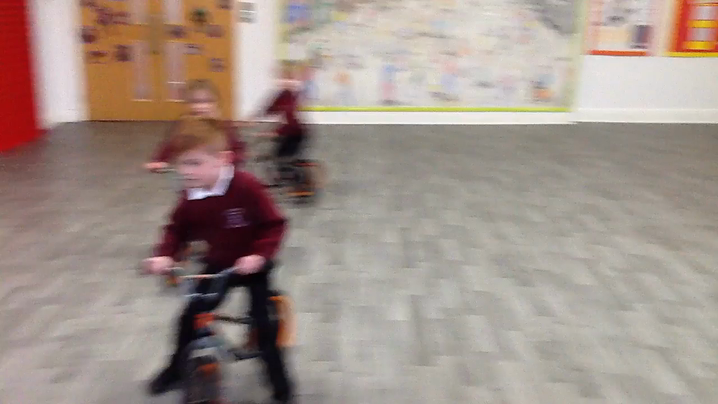 We were very lucky to win a number of balance bikes as a result of scooting or cycling to school!!! First shot on the balance bikes! This half term, we we have PE on a Monday and a Tuesday. Our focus will be Dance! In Dance, we have been learning a 'Morning Routine' dance. We have been thinking about the jobs we do in the morning before school and making up a dance for each one.